This Saturday morning started off with another rainy trip to the farmers' market. Today I got some (cheap!) apples, broccoli, garlic, smoked brie cheese, and apricot pineapple jam. It was a wet and successful outing! Some friends and I had planned to go hiking, but we were deterred by the rain and instead decided to check out one of the New Zealand International Film Festival movies. The festival, which began at the end of July and goes through mid-August, shows several movies a day at various theatres around town. 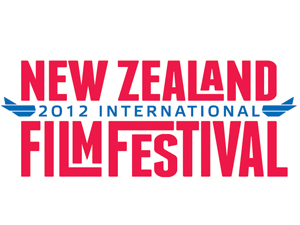 It includes festival entries from around the world in various categories, including animation, New Zealand cinema, documentaries, foreign language films, and some films classified by the festival program as "incredibly strange." Today, I went to see In Darkness at a theatre in the outer Octagon (the Octagon is the main town center, and, unsurprisingly, is eight-sided). In Darkness is a Polish Holocaust film based on an actual Polish sewer inspector, Leopold Socha, who helped hide refugee Jews in the sewers under Lvov during World War II. It was an incredibly emotional, brilliantly acted film - I highly recommend it (just know that you need to mentally prepare yourself first). I may try to see several more films; I'm especially interested to see the documentaries Bully and Chasing Ice, and perhaps a few more foreign films!